The playful and light-hearted Funky Frogs Bookmarks feature a fun and positive message, delightful characters, and bold colors! 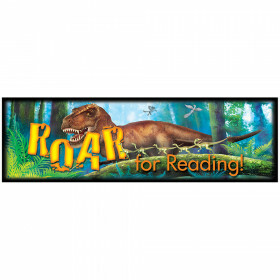 Perfect for encouraging readers, recognizing achievements and rewarding good behavior! Can also be used for prize boxes, party favors, arts and craft projects and more! Set includes 30 bookmarks measuring 2" x 6 1/2" each. Look for coordinating products in this design to create a lively and fun classroom theme! Looking for something similar? 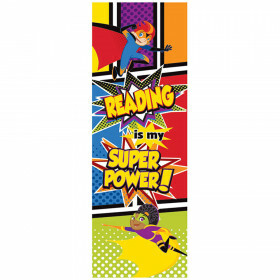 View our Bookmarks or Incentives & Motivators sections to find more educational supplies items similar to Funky Frog Bookmarks. 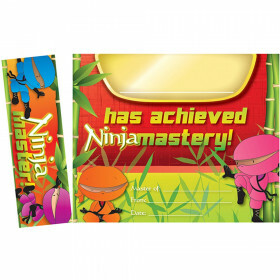 This item may also be listed in our classroom supplies store catalog with item IDs CDP103038,CD103038,9781620575727.